Thankfully a visit to the dietician this week came with the good news that instead of being placed on an even more restrictive completely liquid diet I was actually doing well enough to reintroduce fibre full foods back into my diet! Amazing. I still have to be careful and take it slowly but the thought of more variety than chicken, rice and toast was a delight. I celebrated by immediately going out and buying a fruit pot from the nearest shop. 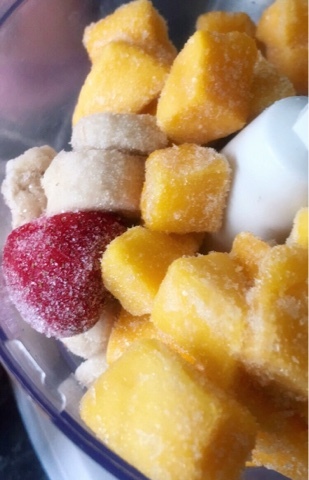 Speaking of fruit I had some frozen fruit in the freezer which had previously been off limits. I couldn't be bothered with a plain old smoothie (what it was actually bought for) so I started thinking. 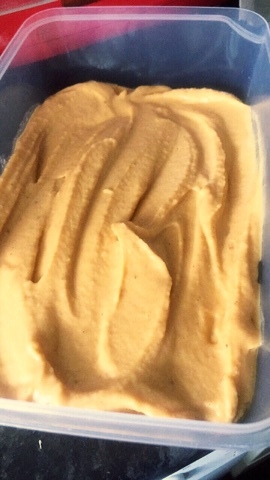 Banana based ice cream, commonly known as "nicecream" has been a popular trend and I have experimented with in the past, disasterously. Maybe it was time to retry. 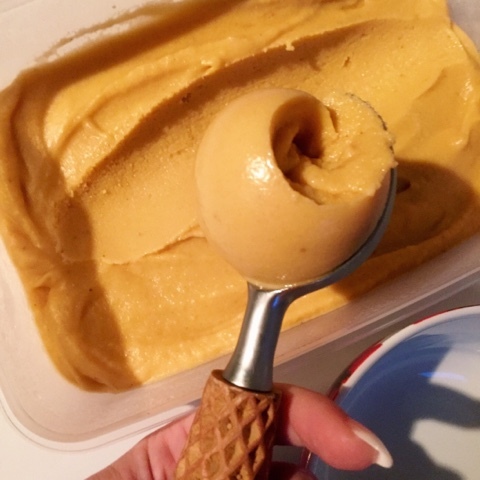 Plus I had mango and I've never disliked any thing flavoured with mango in my life! This is exactly what the dietician meant... Right? Like most things these days I snapchatted my progress and got a lot of interest so here it is. 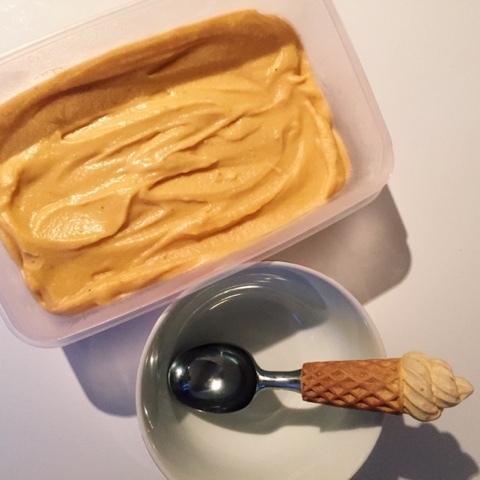 My recipe for Mango Icecream, if you can call it a recipe! Optional Extras: condensed milk or store bought creme patisserie. 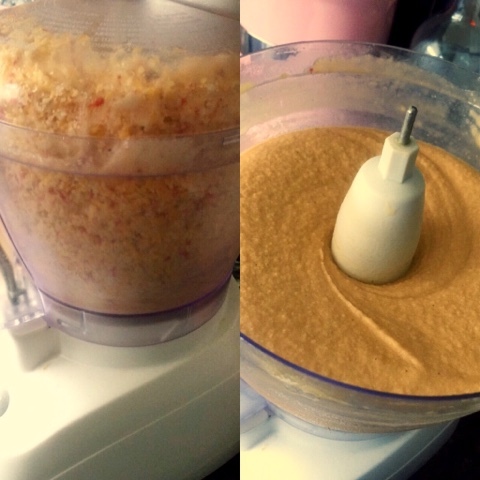 Step 1: blitz the ingredients in a food processor, you'll need to stir through once or twice to make sure it's all evenly processed. Step 2: decant into your storage tub and freeze for at least 4 hours before serving. If adding the optional extras add these after you blitz the fruit fully and make sure they too are as cold as possible/frozen. Otherwise the temperature will drop too much and you'll end up with a chunky slimy mush. Nobody wants that!